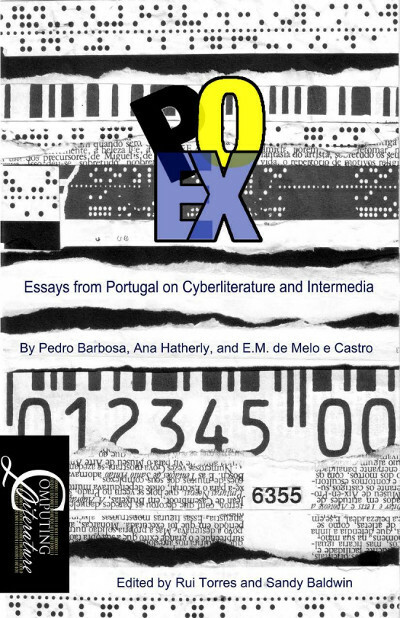 Title > PO.EX: Essays from Portugal on Cyberliterature and Intermedia by Pedro Barbosa, Ana Hatherly, and E.M. de Melo e Castro. 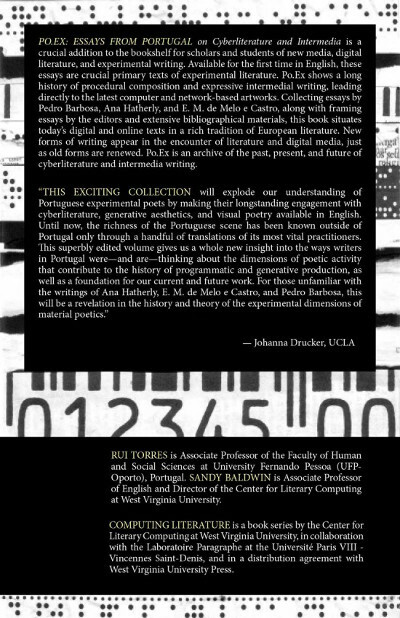 Po.Ex: Essays from Portugal on Cyberliterature and Intermedia is a crucial addition to the bookshelf for scholars and students of new media, digital literature, and experimental writing. Available for the first time outside of Portuguese, these essays are crucial primary texts of experimental literature. Po.Ex shows a long history of procedural composition and expressive intermedial writing, leading directly to the latest computer and network-based artworks. Collecting essays by Pedro Barbosa, Ana Hatherly, and E. M. de Melo e Castro, along with framing essays by the editors and extensive bibliographical materials,this book situates today’s digital and online texts in a rich tradition of European literature. New forms of writing appear in the encounter of literature and digital media, just as old forms are renewed. Po.Ex is an archive of the past, present, and future of cyberliterature and intermedia writing.